We are living in an age when the world for the first time in its history is literally under the rule of the stupidest, dullest, least intelligent and least admirable of all the classes in the community. Wilde's Soul of Man is the condemnation—let us hope the effective condemnation—of this epoch in the journey of the race. The odium which France—always the protector of civilisation—has stamped upon the word "bourgeois" is no mere passing levity of an irresponsible Latin Quarter. It is the judgment of classic taste—the taste of the great artists and poets of all ages—upon the worst type of person, the type most pernicious to true human happiness, that has ever yet appeared upon the planet. And it is this type, the commercial type, the type that loves the money-making toil it is engaged upon, which rules over us now with an absolute authority, and creates our religion, our morality, our pleasures, our pastimes, our literature and our art. Oscar Wilde must be forgiven everything in his gay impertinence which may jar upon our more sensitive moments, when one considers what he has done in dragging this great issue into the light and making it clear. He shows that what we have against us is not so much a system of society or a set of laws, as a definite and contemptible type of human character. Democracy may well appear the most hopeless and lamentable failure in the government of men that history has ever known—but this is only due to the fact that the working classes have until now meekly and mildly received from the commercial classes their notions as to what democracy means. John Cowper Powys, Suspended Judgments, December 1916. Jacqueline Peltier, official representative and spokesperson of the Powys Society in France and elsewhere in mainland Europe, welcomes you to this site dedicated to the Powys family. The founding of the Society in 1967 reflected a feeling among Powys admirers and friends that the special quality of the Powys writings, particularly those of John Cowper, Theodore, and Llewelyn, was not sufficiently recognized. It declared that its aim must be 'the establishment of the true literary status of the Powys family through promotion of the reading and discussion of their works'. After three decades, the Society has inevitably changed and expanded, but its object remains constant: to introduce people of all ages and interests to the remarkable writings, thoughts and contribution to the arts of the Powys family and their circle. The Society publishes a journal and three newsletters a year and has embarked on a publication programme. In addition it organises an annual weekend conference, occasional meetings, exhibitions and walks in areas associated with the Powys family. The Society is always looking for new ways of accomplishing its purpose. It welcomes everyone interested in learning more about this extraordinary family. A virtual visit to "WEYMOUTH SANDS"... An interactive visit to the Dorset setting of the novel 'Weymouth Sands' written by John Cowper Powys while living in upstate New York in 1934 (in English and in French). American Landscapes in John Cowper Powys's Letters to His Brother Llewelyn (in English only). LA LETTRE POWYSIENNE : The first almost completely bilingual French/English publication dedicated to the Powys brothers. An index to nos. 1 to 32 is available. MUSIC FOR JCP : some musical works by Robert Carrington in relation to John Cowper Powys. THE STUDY by Mathé Shepheard mentioned in la lettre powysienne 9, 10 and 14 of the stained glass of John Hardman and Company under the leadership of John Hardman Powell from 1867 to 1895 is now available online and includes over 100 plates of windows by Hardman. NOW AVAILABLE... Jugements Réservés, French translation of Suspended Judgments, preface by Marcella Henderson-Peal, translation and notes by Jacqueline Peltier. The "Reader's Companions" by Professor W.J. Keith, University of Toronto, relative to some of John Cowper Powys' major works, are in a PDF format (easily downloaded for use directly on a computer screen or as printed booklets), and are currently available for Porius (in the new April 2009 version keyed to the 2007 Bond/Krissdóttir edition, and including all corrections and updates since 2004), A Glastonbury Romance, Autobiography and Owen Glendower. (Latest versions, June 2009). 'The Ridge', a poem by John Cowper Powys, in English and French (bilingual facing pages). Derived from the Internet Archive file of the Autumn/Winter 1973 John Cowper Powys issue of granit. Alyse Gregory and The Dial, this paper, originally published in Powys Notes Spring 2000, describes the important part Gregory played during the two years she was Editor, before her marriage to Llewelyn. The Mystic Leeway, reviewed in Powys Notes Summer 1998. An enthusiastic John Cowper encouraged Frances Gregg throughout the writing of this highly original work in which she describes her difficult life, her emotions and her feminist conceptions for the future. John Cowper Powys et la fluidité, a paper in French on Wolf Solent, inspired by the French philosopher Gaston Bachelard, which examines the themes of water and air in the novel. 'Modernity and Medievalism in T.F.Powys's Mature Fiction': a paper by Dr Marius Buning. Dr Buning, who passed away in January 2008, was one of the leading experts in the field (English only). A reading from Owen Glendower by a French Senator: an extract from Senator Pierre-Yvon Tremel's 2004 New Year wishes. NB: Links to other Powys related sites will be found at the end of this web page. 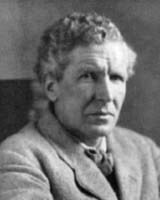 John Cowper Powys was a prolific novelist, essayist, letter-writer, poet and philosopher, and a writer of enormous scope, complexity, profundity and humour. A powerful orator, he spent over thirty years as an itinerant lecturer in the United States, during which time he wrote his first four novels. In 1930 he retired to up-state New York and turned to full-time writing: it was here that he produced such masterpieces as his Autobiography, A Glastonbury Romance and Weymouth Sands. He returned to Great Britain in 1934, settling in North Wales, where he wrote the historical novels Owen Glendower and Porius, the expository studies Rabelais and Dostoevsky, and The Brazen Head and other inventive fantasies. Other notable novels are Wolf Solent and Maiden Castle: all of them are rich in characterisation, psychologic analysis and evocation of place. The Pleasures of Literature demonstrates the breadth of his literary interests, The Meaning of Culture and In Defence of Sensuality the immediacy of his thought. His Journal is in course of publication. Llewelyn Powys was born in Dorchester, Dorset, spent his childhood at Montacute, Somerset, and as an adult lived for varying periods in Kenya, the United States (where he met and married the American writer Alyse Gregory), Dorset and Switzerland. His twenty-six books include a novel, Apples be Ripe, a biography, Henry Hudson, essays descriptive and polemical, memoirs and reminiscences. Of all the Powys brothers, Llewelyn was recognized as the most cheerful, the most at ease with existence: the only one for whom a title such as Glory of Life could hold not a shadow of the ironic. Llewelyn's epicurean philosophy is intimately related to the tuberculosis with which he struggled for thirty years. A man who rarely left home or travelled in a car, who claimed to love monotony, and who 'never gave so much as a sunflower-seed for the busy, practical life' - this was Theodore Francis Powys. He ran his own White House Farm at Sweffling, Suffolk (1895 - 1901) before 'retiring' to Dorset, determined to write. In 1904, he settled in East Chaldon, 'the most hidden village in Dorset', and there he remained until 1940, when the war drove him inland to Mappowder. In 1905, he married Violet Rosalie Dodds, a local girl; they had two sons and an adopted daughter. Powys's unorthodox version of Christianity reveals strands of mysticism, quietism, and pantheism, but the major influence upon him was the Bible, and he claimed that Religion 'is the only subject I know anything about'. Sometimes savage, often lyrical, his novels and stories explore universal themes of Love, Death, Good and Evil within the microcosm of the rural world. In spite of the apparent realism of his settings, Powys is a symbolist and allegorist. Major works include Soliloquies of a Hermit, Mr Weston's Good Wine, and Unclay; his Fables and short stories are also much admired. The three brothers were members of a family of eleven children born to the Reverend C F Powys, vicar of Montacute for thirty-two years, and his wife Mary Cowper Johnson. All the children were formidable individualists but Louis Marlow once wrote that when they were together they became 'one huge many-headed Powys'. It was their strong sense of family and their passionate love of nature that united them; it was their sometimes anguished quests for separate identity that drew them into a remarkable variety of careers: from schoolmaster to farmer, from poet to architect. Among them, Gertrude Powys was a painter of power and insight, Marian Powys an authority on lace and lace-making; A R Powys, Secretary of the Society for the Protection of Ancient Buildings, published a number of books on architectural subjects. Philippa Powys was a novelist and poet, as was Lucy Powys's daughter, Mary Casey. Littleton Powys published two volumes of autobiography; he was married to the novelist Elisabeth Myers. Llewelyn Powys was married to the American writer Alyse Gregory. The Powyses inevitably attracted a wide circle of friends and admirers, many of them writers themselves. Among them were the novelist and autobiographer Louis Wilkinson (Louis Marlow) and his first wife Frances Gregg; the novelist, poet and short story writer Sylvia Townsend Warner; and the poets Valentine Ackland and Gamel Woolsey. In America John Cowper Powys was friendly with the novelist Theodore Dreiser and the poets Edgar Lee Masters, E A Robinson and Edna St Vincent Millay; in Wales with the poet Raymond Garlick and the novelist James Hanley. The Powys family and their friends constitute an unusually wide-ranging spectrum of social, literary and imaginative interests. Above texts by Glen Cavaliero, Lawrence Mitchell, Charles Lock and Morine Krissdóttir. THE POWYS SOCIETY : the official web site of the Powys Society. JOHN COWPER POWYS IN SUSSEX : Kieran McCann's site with many details about the years John Cowper spent in Sussex, complete with photographs, old and new, and appropriate quotations. A scanned version of the special 1973 number of GRANIT can now be downloaded from the Internet Archive. IAN MULDER's site : some thoughtful studies of several aspects of JCP's work by an enthusiastic and knowledgeable freelance, who was a regular contributor to la lettre powysienne. 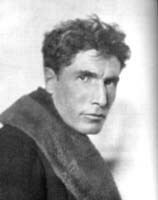 The entry for 7 December 2012 in a French blog by Gilbert Chagrot, concerned with various forms of music, poetry, painting, cinema and literature is a page dedicated to John Cowper Powys. THE SUNDIAL PRESS, an independent imprint having already published works by Philippa Powys, T.F. Powys, Llewelyn Powys and by Alyse Gregory. JOE BOULTER's homepage: a hip-hop scholarly enthusiast. The New Generation for Powysiana (archive).